Oh yeah, the boy can play! “As a budding musician, Hanson falls among a new generation of clear-eyed singer-songwriters who lack an allegiance to such mythical rock figures as Bob Dylan and Bruce Springsteen. Instead, Ethan Hanson is carving out his own niche." You might just say I told you so… This kid is special. "Ethan was great! We enjoyed his music. 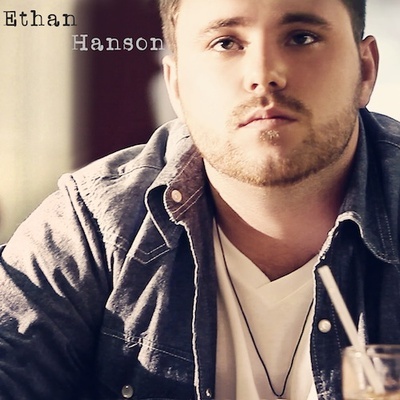 Ethan Hanson has that unique confident style of singing and playing that you can't help but like the guy!" Fayetteville, North Carolina has been the hometown of celebrities such as Oscar Nominated Actress Julianne Moore, GRAMMY Award Nominee and Producer Dave Moody and now burgeoning Acoustic Rock and Blues Guitarist Ethan Hanson. Only 21, Hanson is quickly following the path laid out by artists such as John Mayer, Jonny Lang and Jason Mraz. 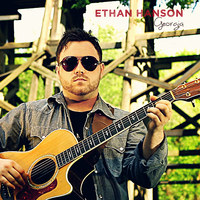 Having opened up for major acts like Hootie & The Blowfish and JoJo, Ethan is a true artist and creator of music. With Jan Smith, the same vocal coach used by artists like Justin Bieber, Mariah Carey and Usher, he’s not only catching the attention of Fayetteville, as noted by his sold-out shows and the Fayetteville Observer’s quote of the musician, saying, "Oh yeah, the boy can play", but this talented musician and “old soul” is on the brink of breaking out nationally. At the age of 10, he played his first show with his mother, Kerstin Hanson and DL Token front man Jeremy Strothers at the Dogwood Festival in Fayetteville. The engagement gave the young man a taste of what life was like on stage and he realized that music was where he wanted to be. Always one to put his thoughts to paper, Ethan began writing poems which eventually morphed into songs. Although briefly discouraged, with the support of many, he hung in there and in later years developed a soulful, yet mature sound. He continued to gig with his mother singing at coffeehouses and local establishments until around the age of 16. At that point, he began doing his own solo acoustic shows. He regularly receives stunning reviews, which explains why he’s been a full-time musician since then, performing about 3-4 times a week at local venues and coffeehouses. Hanson’s music draws from many genres and styles. Pop, R&B, rock, blues, jazz and Latin music are all part of his repertoire. Influenced by artists such as Eric Clapton and James Taylor, he is an authentic singer-songwriter. With just a guitar and his expressive and moving voice, he has the power to motivate and inspire. Ethan’s songs aren’t your typical boy meets girl songs. He likes to delve into emotions and prefers to write “socially conscious” music, music that allows the listener to meditate and dig into life’s deeper issues. “What inspires my music is everyday life,” says Ethan. “Music allows you to express your feelings in ways that talking can’t.” One of the reasons he plays is because he’s witnessed the positive effects of music and its ability to bring people together. With such spectacular live shows, a recording career wasn’t far behind. Ethan has dropped two projects to date. His first self-titled CD was released at the age of 14. His second CD, Alive, was dropped in 2007. Having built up a strong fan base since his first project, Alive was a highly-anticipated, critically-acclaimed release and was a snapshot of the “live experience” capturing the artist in his element. Currently he’s prepping his upcoming project. 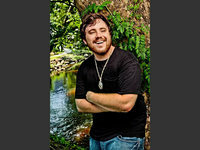 He’s tapped producer Mark McKee and has begun recording what will be his debut national release scheduled for 2012. Michael Futch of the Fayetteville Observer sums up Ethan’s gift beautifully. “As a budding musician, Hanson falls among a new generation of clear-eyed singer-songwriters who lack an allegiance to such mythical rock figures as Bob Dylan and Bruce Springsteen.” Instead, Ethan Hanson is carving out his own niche.